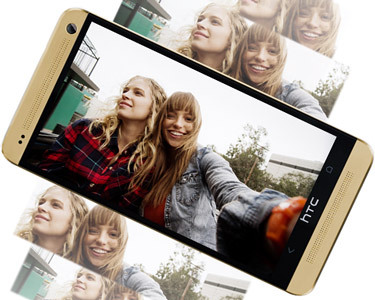 The HTC One delivers sharper, richer sound with front facing built-in amplifiers and stereo speakers. With HTC BlinkFeed, you get live updates directly to your screen. With the BlinkFeed Screen Changer, the home screen refreshes the handpicked content for real-time updates. Mini-movies can be created by combining photos and videos using the Video Highlights camera feature. High definition 30-second video shorts with footage from any event. With the HTC BoomSound Audio Charger, you can have a redefined aural experience of built-in amplifiers and stereo speakers. 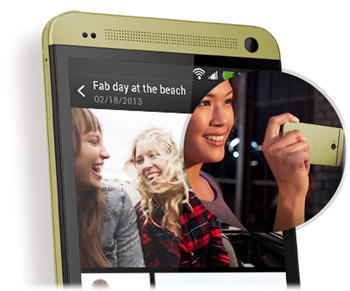 The HTC One delivers sharper, richer sound with front facing built-in amplifiers and stereo speakers. With the state of the art HTC Ultra Pixel Camera, 30-second video shorts start with footage from any event without any fancy software or skills required. Great music themes and personal soundtracks can also be shared like never before. The entire gallery becomes alive and vivid. 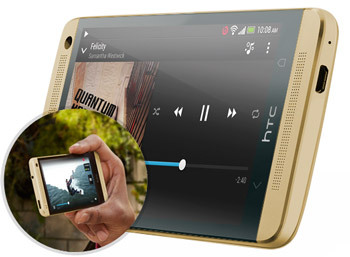 HTC BOOMSOUND: SHARPER, RICHER, LOUDER. The HTC BoomSound module features the dual front-facing stereo speakers which change the way you enjoy and share music, videos, games, and content with the best sound available. 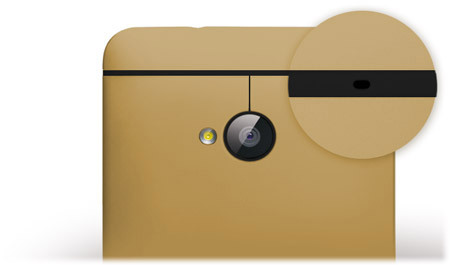 HTC BLINKFEED. YOUR LIVE HOME SCREEN. For unique and personal interest, BlinkFeed can help build your personal home screen which automatically refreshes with information and updates, including Instagram. REFINED DESIGN. RUGGED BUILD. INSPIRED RESULTS. 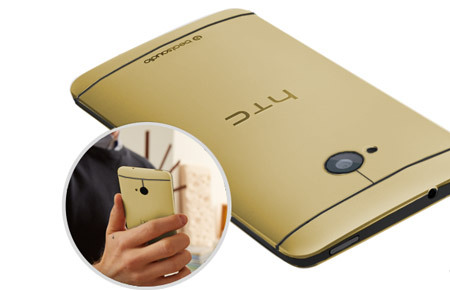 HTC One has a full metallic finish with tapered and fine edges which offers a comfortable grip to the user and doesn't compromise with the design. CREATE YOUR OWN VIDEO HIGHLIGHT. The enthralling Video Highlight feature automatically selects the highlight of an event and crafts a 30-second show. Different music themes can be added to add more effects while sequences can be changed right away. 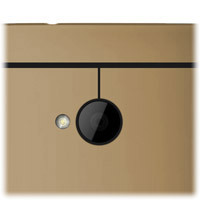 Pictures can be shared with a press of a button. 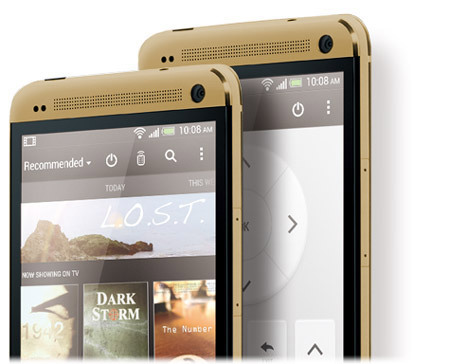 With the Sense TV, you will easily be able to access TV channels and adjust audio with HTC One. All your favorite shows can now be managed, controlled and accessed by the phone. The phone packs the Sense Voice module which includes built-in microphones that detect loud noise readily and accordingly regulate the in-call voice to compensate. This feature helps tremendously in a crowded environment.